(Natural News) Sugar is what makes food sweet, and your body uses it as a source of energy. But too much sugar is a major problem, and excessive consumption is now known to be a driving force in the epidemic of obesity and diet-related disease plaguing the Western world. Indeed, the true nature of sugar has long been suppressed by a greedy, profit-driven industry. For the last several decades, dietary fat has been the scapegoat for conditions like heart disease and diabetes. Dietary fat has been wrongly demonized for long enough. “Fat free” and “low fat” foods line supermarket shelves, and consumers have been told these are the “healthier” alternatives to fat-containing foods. But what the food industry doesn’t want you to know is that these products are typically loaded up with sugar, high-fructose corn syrup, or some other alternative that is far worse than fat. Reduced fat peanut butter, for example, typically contains about the same number of calories as regular peanut butter — and all the fat (and nutrients) that’s been taken out is replaced with corn starch and sugar. But the deception of the sugar industry didn’t start with clever marketing; it started with fraud. A group called the Sugar Research Foundation (today known as the Sugar Association) paid off three Harvard scientists around $50,000 (adjusted for inflation) in 1967 to skew their research about fat, sugar and heart disease. The resultant article, published in New England Journal of Medicine, minimized sugar’s negative health impacts and cast saturated fat as the main villain. 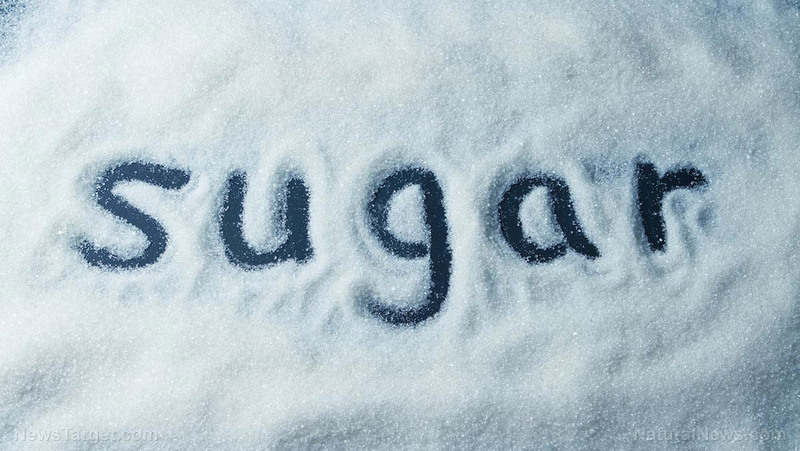 An article recently published in JAMA Internal Medicine unveils the sordid truth of times past: The Sugar Research Foundation (SRF) was used by the industry to quietly sponsor research on sugar for decades. And as the study authors note, industry-funded research should not be given much (if any) credence in policy-making decisions on the sugar frontier. The sugar industry first became aware of how profitable the “right” science could be in 1954: The then-president of SRF gave a speech, declaring that Americans could be convinced to follow a low-fat diet, and those lost calories would have to come from something else. And if those calories came from sugar, consumption (and presumably, profits) of sugar could go up by about 30 percent. Then the bad news came: Sugar wasn’t actually good for people. As one SRF document notes, “flowing reports that sugar is a less desirable dietary source of calories than other carbohydrates,” were suddenly on the horizon. Today, we know that sugar is actually a primary cause of disease. So, SRF set out to make sure that sugar secured its place at the top of the food chain, armed with fake science and propaganda to push. Not only did SRF encourage the Harvard scientists produce the results they wanted to see, data that conflicted with the desired outcome was dismissed for any number of arbitrary reasons. Unsurprisingly, the Sugar Association of today has been reluctant to denounce the activities of SRF from decades ago. Instead, Sugar Association has merely stated that the “standards” of the 1960s were different than they are today — which is really just another way of saying it was easier to get away with fraud fifty years ago than it is today. See more stories exposing fraudulent science at FakeScience.news.